The Certified Business Management Expert (CBME) designation program is a self-paced training and certification program on business management fundamentals, industry terms, and best practices. The CBME program is self-study and 100% online. Designed to provide you with a practical learning approach, the CBME covers project management, product and sales funnels, management of staff, and an overview of management tools, systems, and methods. Learn the art of combining ethics, leadership, and management to effectively achieve more. Lifetime access to tools and multimedia training resources found online within the CBME Certification Program. Speak the business management language – Earning the CBME Designation assures that you can attend conferences, interviews and other networking events while being able to contribute to conversations and understand discussions about current events or trends within the industry. Our program will help you to understand the terms and implement the tactics and tools of leading business management professionals. Completed a challenging business management training and certification program that required the completion of a strategic project. Obtained a _80__% on the two-hour comprehensive examination on business management, which included 80 multiple choice questions and two essay questions. the practice examination, training videos, and audio resources. After you’ve gone through the materials there and the required text book and feel ready to take the CBME examination, you can schedule yourself for the online examination. We offer an exam on the 1st Wednesday of the new month giving you 12 opportunities to take the examination each year. Simply complete the Examination Scheduling form, send an email, or give us a call at least 2 weeks before the upcoming exam date, and we’ll get you set up for the test. After you pass the CBME examination, you’ll be awarded the CBME certificate and designation to use after your name or on professional resumes. Business Training Institute Course Catalog: Click here if you would like to review all of our training program options, design your Master’s Certificate, or print out and show what programs you want to complete. We encourage you to share our catalog with your boss, business partner, or team. A high level understanding of marketing, sales, and positioning to allow participants to manage and help make decisions which impact each of these areas. Who Offers the CBME? The Certified Business Management Expert (CBME) program is offered through the Business Training Institute, a certification platform that has been educating and providing executives the tools they need to succeed since 2007. Business Training Institute has trained and certified over 15,000 professionals around the world. 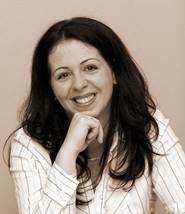 Instructor:Katalin is a European based business executive with over 11 years of experience in financial auditing, financial analysis, business analysis, forecasting, managment, and controller responsibilities. Katalin has been trained and has lead teams in business and financial analysis at Proctor & Gamble, one of the largest and most successful corporations in the world. Katalin is now helping run our Financial Analyst Specialist (FAS) and Business Management Specialist (BMS) programs. How to Get Started: Register for the CBME now by completing the application below, or by filling in our Payment Options Form. You can also contact an enrollment advisor Monday through Friday from 9am to 5pm Eastern Standard Time (EST) at (305) 503-9050.